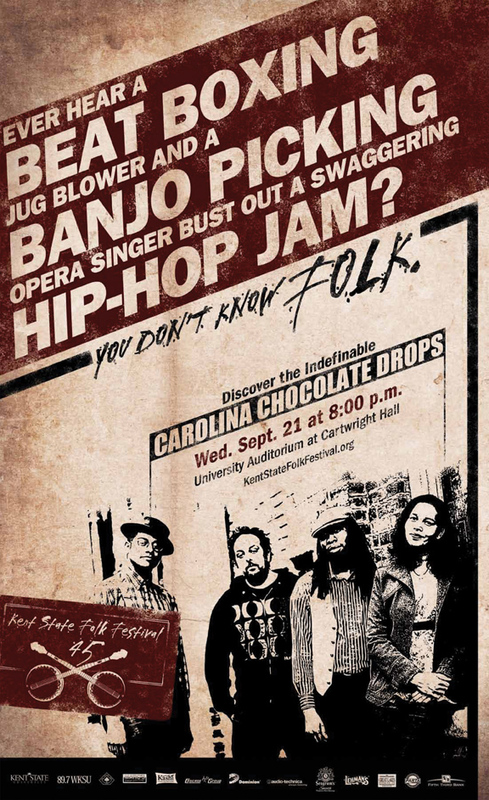 A new campaign for Kent State University's WKSU Folk Festival, Sept. 21-25, called You Don't Know Folk, asks folk music lovers to broaden their ideas of who, and what, is folk. The print, poster, guerrilla and online campaign, created by advertising agency Marcus Thomas, has some great headlines. 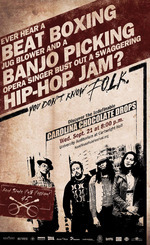 Print ad headlines include "Ever hear a beat boxing jug blower and a banjo picking opera singer singer bust out a swaggering hip-hop jam? ", "Know who burned down the house with Dave Matthews, chewed gum with Elvis Costello, and partied on a boat with Mick Jagger?" and "Think a former NASA technician. two Ivy League graduates and a saw player don't know how to bring the funk?" Ads will appear in local Ohio newspapers, wildpostings will be placed and QR coded guitar picks will be distributed. All lead to the campaign website.